International Religious Liberty Association | Manila, Philippines, "One Man with Courage is the Majority"
It is by these words of Thomas Jefferson that Honorable Ben Micah, Senior Minister and Cabinet member of the Government of Papua New Guinea opened his intervention, at the opening meeting of the Festival of Religious Freedom held in Manila, January 23 to 25. He encouraged the 100 officials, lawyers, religious freedom leaders and religious leaders who attended to be "On the side of the truth even if it is not on the side of the majority and don't get much popularity." Among the speakers: The Ambassador of Papua New Guinea to the Philippines, Ambassador Bienvenido Tejano; The Philippines Ambassador to Papua New Guinea; Congressman Harlin C. Abayon; The International Religious Liberty Association Secretary General, Dr. John Graz. The organizer of the Festival, Pastor Nepthali Manez underlined in his opening speech that the purpose of this festival was to thank God publicly and the Republic of the Philippines for the great level of religious freedom which prevail in their country. 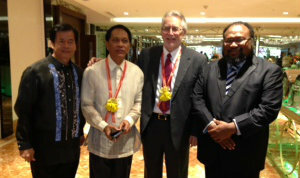 Congressman Abayon, said that religious freedom is respected almost 100% in the Philippines. At the first opening meeting, all of the speakers at the festival encouraged the 200 participants to respect the minorities and build bridges with people of different faiths and beliefs. Ambassador Tejano reported his personal involvement in helping the persecuted, saying that to defend religious freedom we should be ready to cooperate with good people who are in all religions. On Saturday, January 25, the second part of the Festival was held at the Philippines Adventist University. More than 2000 students and professors attended. Musicians and artists were also part of the program. The guest speaker, Dr. John Graz, thanked the organizers of the festival and, taking Canada as an example, encouraged the government of the Philippines to be the voice of religious freedom in Asia. The Philippines may not choose an Ambassador At Large for International Religious Freedom, like the USA and Canada, but be the voice of hope for the believers who are persecuted in the world and especially in Asia. 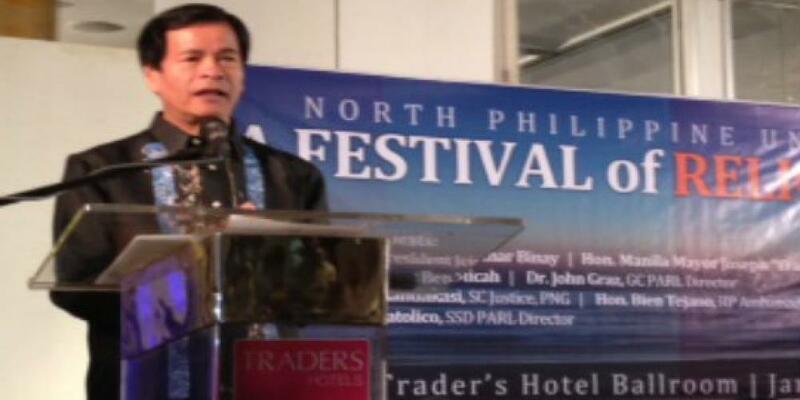 The organizer, Pastor Manez, who is also President of the North Philippine Union Conference of the Adventist Church said: "This festival has encouraged us to hold a new one in 2015 with several forums which could be held in universities and with a final mass meeting." IRLA Regional Secretary, Dr. Jonathan Catolico stated: "Such successful events to celebrate religious freedom will stimulate the participants to launch a 'Religious Freedom Association of the Philippines' as soon as possible." After the Festival, Dr. Graz and Dr. Catolico went to Davao, the capital city of Mindanao, to give several lectures on religious freedom.